A new language has been discovered in a remote Indigenous community in northern Australia that is generated from a unique combination of elements from other languages. Light Warlpiri has been documented by University of Michigan linguist Carmel O'Shannessy, in a study on "The role of multiple sources in the formation of an innovative auxiliary category in Light Warlpiri, a new Australian mixed language," to be published in the June, 2013 issue of the scholarly journal Language. The people who live in a small community in the Tanami Desert speak a traditional language, Warlpiri. It is spoken by about 4,000 persons and is highly endangered. In one community called Lajamanu, however, speakers readily switch between languages — from Warlpiri to English and Kriol (an English-based creole). 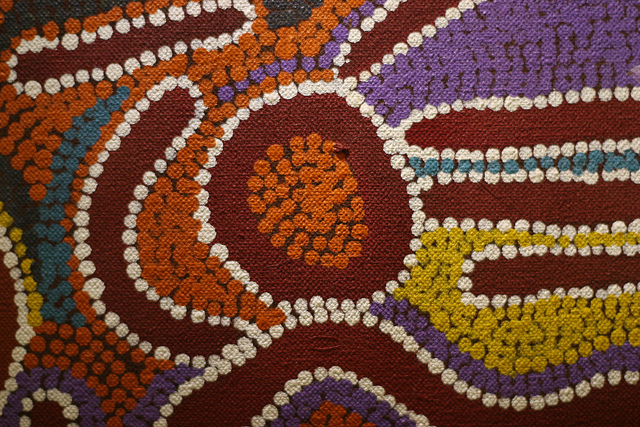 In the 1970s and 1980s, children internalized this switching as a separate linguistic system, and began to speak it as their primary code, one with verb structure from English and Kriol, and noun structure from Warlpiri as well as new structures that can be traced to Warlpiri, English and Kriol, but are no longer the same as in those source languages. As these children grew up they taught the new language to their own children, and it is now the primary code of children and young adults in the community. Light Warlpiri is one of a small number of 'mixed languages,' ones which typically consist of combinations of elements from two languages, although the combinations can be of different types. For example, most of the words come from one language and most of the grammar from the other. It is rare to find the structures of the verb system and noun system from different languages, as in Light Warlpiri, as is the fact that more than two languages were involved in the creation. This creation of new meanings from old sources also occurs in pidgin and creole languages, and in languages in the Balkan linguistic area. Perhaps the common factor between these and Light Walpiri is that each of them arose from combining elements from several languages. The wide separation of these codes suggests that this innovative combining may be an unusual but widely available human language phenomenon.